The Demons will rise, and they will make graveyards their churches, and the cities of the living shall become their tombs! 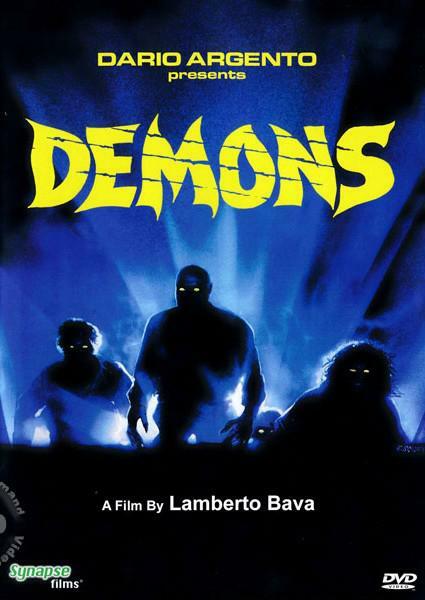 From the minds of Dario Argento and Lamberto Bava comes the horrific Heavy Metal splatter film classic, DEMONS! Presented in a stunning new high-definition transfer and re-mastered audio! Features and amazing soundtrack of 80's rock/heavy metal by Billy Idol, Scorpions, Motley Crue, Accept, Saxon and MORE!